The animation program celebrates the completion of a new film and storyboards its future. Eli stars in the animation program’s latest short, Pajama Gladiator. Another Pixar-mentored film, Kites, debuts this fall. A gargantuan one-eyed alien was seen attacking a pajama-clad boy in the Harris Fine Arts Center in March. But not to worry: the boy, brandishing his blanky like a whip, held his own against this thug and three other extraterrestrial attackers. The boy, Eli, is the protagonist of the BYU animation program’s new short film Pajama Gladiator, which premiered to a wildly applauding audience in the de Jong Concert Hall in March. The five-minute film wasn’t the only reason for applause. The occasion was also marked by the announcement of BYU’s new Center for Animation, as well as by a visit from Pixar and Walt Disney Animation Studios president Ed Catmull, who delivered a speech and praised the animation program. The Center for Animation—announced before Catmull’s speech—will be housed in the Fulton College of Engineering and Technology. “The center will allow us to develop more product, to have a better experience for students and faculty, and to explore other areas in animation and digitization that we haven’t been able to explore before,” says animation professor R. Brent Adams (’76), who will direct the center. Romeo and Juliet, Tristan and Isolde, Dante and Beatrice—add to that list of legendary lovers a turtle and a shark, the protagonists of a new animated short created by animation instructor Ryan J. Woodward (BFA ’03) and four of his students. 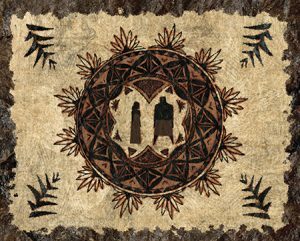 Visually reminiscent of tapa cloth designs, the film is based on a Samoan legend about a man and a woman transformed by the gods into an eternal couple, forever to swim the seas side by side as shark and turtle. 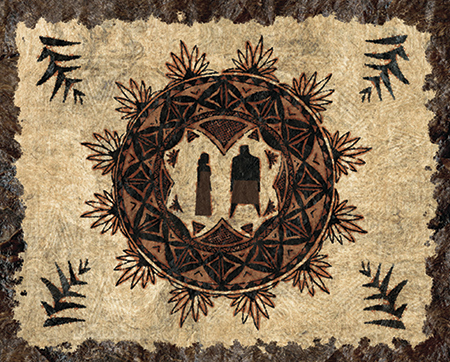 In May the animators traveled to Hawaii and Western Samoa to screen the film and teach workshops on visual storytelling.